To pull off a successful holiday season requires a lot of careful planning. First, there are all the family schedules to coordinate. That includes all the activities of the kids and any out of town visitors. There are also menus to plan as well as baking schedules for all those terrific traditional treats. Of course, the main issue with the holidays is the shopping. It is rare to get everything done at one store. Again, lots of planning. One other element you need to factor in is getting your house in order and that means getting rid of the junk before the holiday season. That is where hiring Junk King Chattanooga can be a huge benefit. As you take down Halloween decorations and put up the other holiday decorations, you might notice a few items that could be removed from your home. Whether that is rubbish in the yard or a sofa down in the basement, Junk King is the crew that can handle that chore. Every junk removal session that is set up by Junk King Chattanooga will be staffed by at least two very strong movers. On some jobs, you might even get three movers. It doesn’t matter to Junk King if you’re moving a little or a lot; you’ll still get a team with every session. That just makes things go a lot smoother. You can plan your junk removal session around your schedule. All that Junk King asks is that you pick a day and a two-hour window for the session. Those two hours gives the crews plenty of time to get from one home to the next. Of course, if you schedule for the first pick up of the day, you won’t have to wait that long. Once the crew does arrive, you’ll be amazed at how quickly they can clear all kinds of junk. Included in Junk King Chattanooga’s service is also all the disposal. This is where more planning come into play but not for you. The Junk King crews are going to sort through everything they collect and pull out those things that can be donated or recycled. Those items will be dropped off at the appropriate facility. This is how Junk King does things. 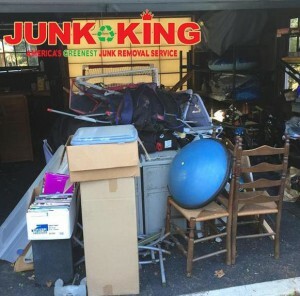 Before your holiday starts, plan for a junk removal session with Junk King Chattanooga. You’ll be glad you did. This entry was posted in Chattanooga Junk Removal and tagged holiday, Junk King, junk removal on October 31, 2017 by Junk King. Last updated October 31, 2017 .